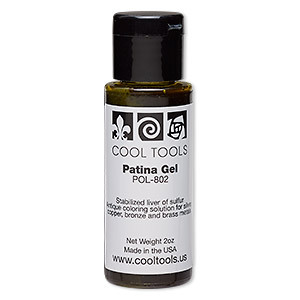 Patina gel, Cool Tools, stabilized liver of sulfur. Sold per 2-ounce bottle. 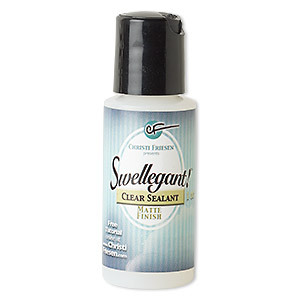 Sealant, Swellegant!, matte clear. Sold per 1-fluid ounce bottle. 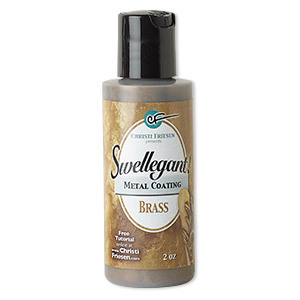 Metal coating, Swellegant!, brass. 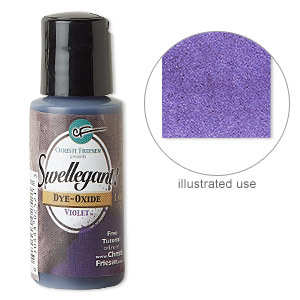 Sold per 2-fluid ounce bottle. 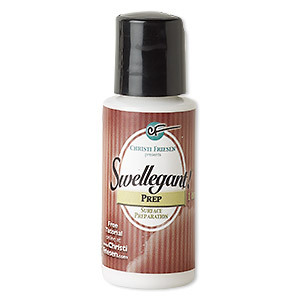 Surface prep, Swellegant!, white. Sold per 1-fluid ounce bottle. 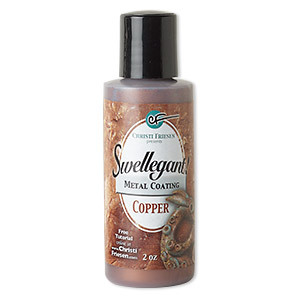 Metal coating, Swellegant!, copper. Sold per 2-fluid ounce bottle. Metal coating, Swellegant!, silver. Sold per 2-fluid ounce bottle. 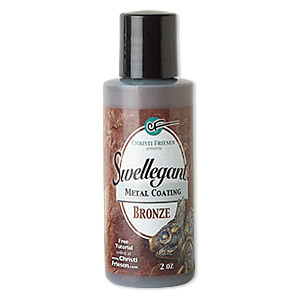 Metal coating, Swellegant!, bronze. Sold per 2-fluid ounce bottle. 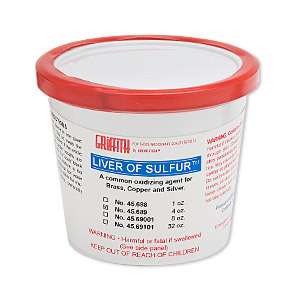 Oxidizer, Griffith Liver of Sulfur, white. Sold per 4-ounce container. 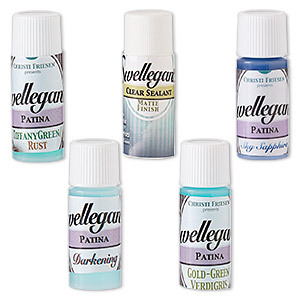 Patina and sealant, Swellegant!, assorted colors. Sold per pkg of (5) 0.25-ounce bottles. 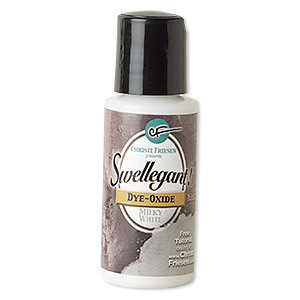 Dye-oxide, Swellegant!, milk white. Sold per 1-fluid ounce bottle. 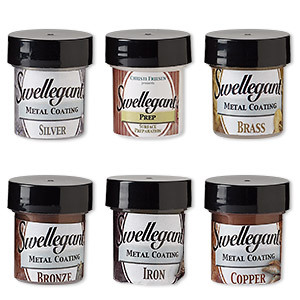 Metal coating and surface prep, Swellegant!, assorted colors. Sold per pkg of (6) 0.5-ounce bottles. 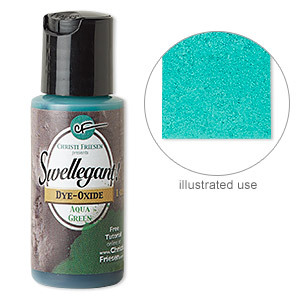 Dye-oxide, Swellegant!, aqua green. Sold per 1-fluid ounce bottle. 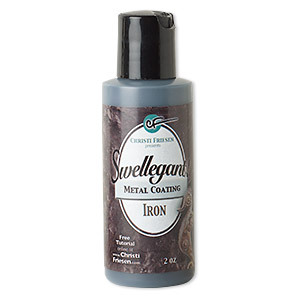 Metal coating, Swellegant!, iron. Sold per 2-fluid ounce bottle. 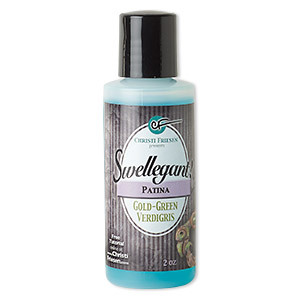 Patina, Swellegant!, Gold-Green Verdigris. Sold per 2-fluid ounce bottle. Dye-oxide, Swellegant!, coffee brown. Sold per 1-fluid ounce bottle. 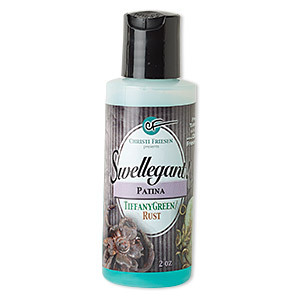 Patina, Swellegant!, Tiffany Green Rust. Sold per 2-fluid ounce bottle. 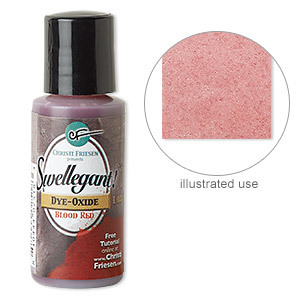 Dye-oxide, Swellegant!, blood red. Sold per 1-fluid ounce bottle. 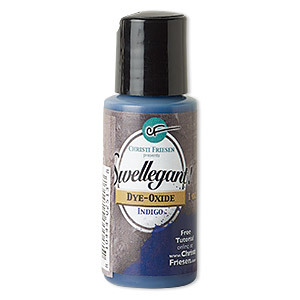 Dye-oxide, Swellegant!, indigo. Sold per 1-fluid ounce bottle. 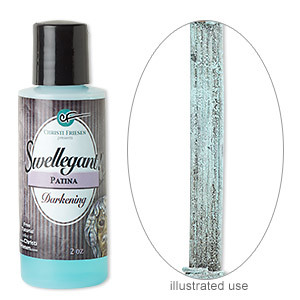 Patina, Swellegant!, Darkening. Sold per 2-fluid ounce bottle. Dye-oxide, Swellegant!, kelly green. Sold per 1-fluid ounce bottle.